Apple proudly declares that 36% of its employees under 30 are women. It also said that in the under-30 age group, 39% of its leaders are women. In 2017, 23% of the tech employees at Apple were female. At Google, 25.5% of its leaders were women in 2017. Since 2014, the percentage of women hires in Google's tech team increased from 20.8% to 24.5%. Thirty-five percent of the employees of the social media giant Facebook are women, although 19% of tech positions are held by female employees. 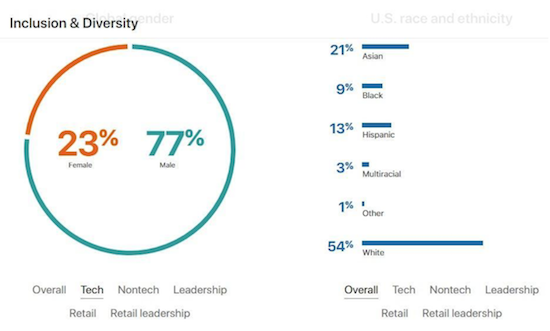 The good news is that the company is trying to improve its diversity profile, and 21% of the new technical hires there are women. Inappropriate remarks about women or lack of trust in their abilities. Unfair treatment by the management vis-a-vis male employees. More black women cited stereotyping and being passed over for promotion as the reasons for leaving the job while white and Asian women were more dissatisfied by the leadership and management practices of the company. Long hours, lack of respect and recognition, office politics, and the demanding nature of the IT jobs can easily cause burnout in IT professionals—including women. While changing the company culture is a deadly slow process, women techies can be more in control of their time with the help of the latest upcoming time-management apps. Some of the best apps you can use are Clear to organize your to-do lists, Workflow to automate the tasks you do on your phone, and Clara that coordinates your meetings and makes it easier for you to manage your schedule. Wunderlist makes it easier to collaborate for the group projects, RescueTime can help you track how much time you spend on your favorite websites online, and Timely can track how much time you spend on each task that you do (and thus estimate the time you'll need to complete a project). Due to the global nature of IT, employees often end up working odd hours so they can speak with clients and colleagues across the time zones. The pace of work is high, too. Hence, it is imperative to have adequate family support at home. Having parents, siblings, and a spouse who can look after children or do grocery shopping for you at times can be a great stress buster. Nannies and helping hands have become the need of the hour. Making a list of all the people in your network can do wonders for you at the time of an emergency. When the workload is too high, you might also want to hire virtual assistants or people who can do small tasks for you, such as doing research or programming for a part of the project assigned to you. Women who are trying to get a promotion by completing a long-pending management degree may consider hiring experts who can write business plan assignments for them and save hours of their time every week. CodeAcademy and LearnPython are two of the hundreds of open-source tools, libraries, and tutorials that allow you to pick up new skills online. You can upskill yourself at your own pace and can have complete control over your career path. In fact, today, many IT companies are offering remote jobs with flexible work hours that might suit you better. Competition for remote jobs is much higher than the competition for the regular jobs. You might consider applying for them anyway if you are good at your job, are an extrovert who has no problem communicating with strangers, and do not have a problem in concentrating on your work while at home (or getting up from work when it's time to switch off your computer). Working from home allows you to save money and commute time to and from the office, it can help shield you from office politics and allows you to spend more time with your family. Plus you can work from anywhere. It means you can take more vacations or travel around the world without having to take extended leaves from the office. However, if you are someone who likes to make friends at the office and spend time with colleagues, remote jobs might not be the right choice for you. Today, perceptions about women are changing. They are aggressive and enthusiastic workers and get due credit for it too. 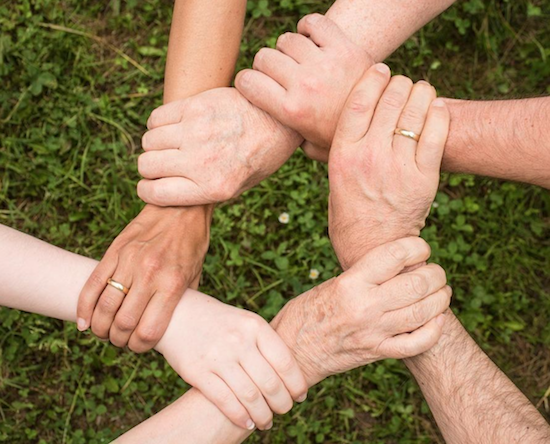 There are support groups to help them overcome the challenges, and the social dynamics are changing in their favor. It is time to take the leap and achieve all the goals you have in mind.